Hopefully this is pretty self explanatory, but here's some examples. 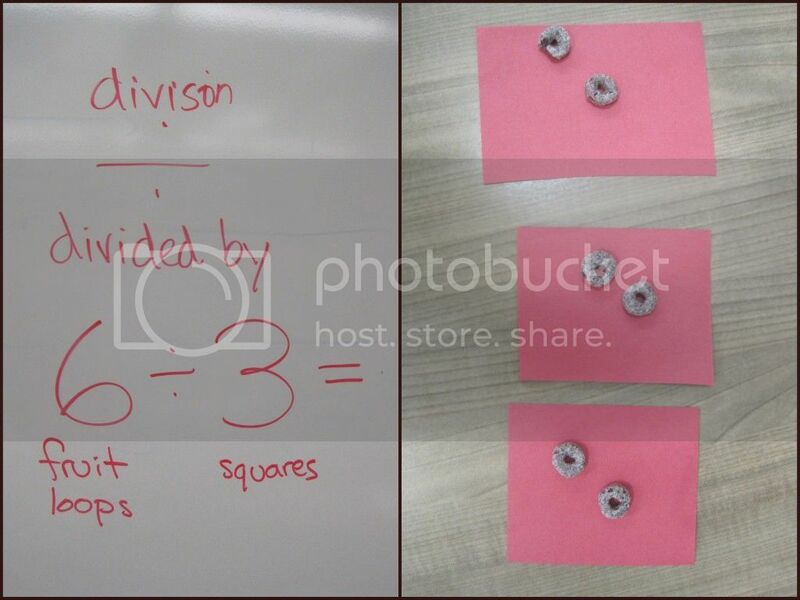 Division: For a problem like 6 divided by 3, I told my students to first count out 6 fruit loops. 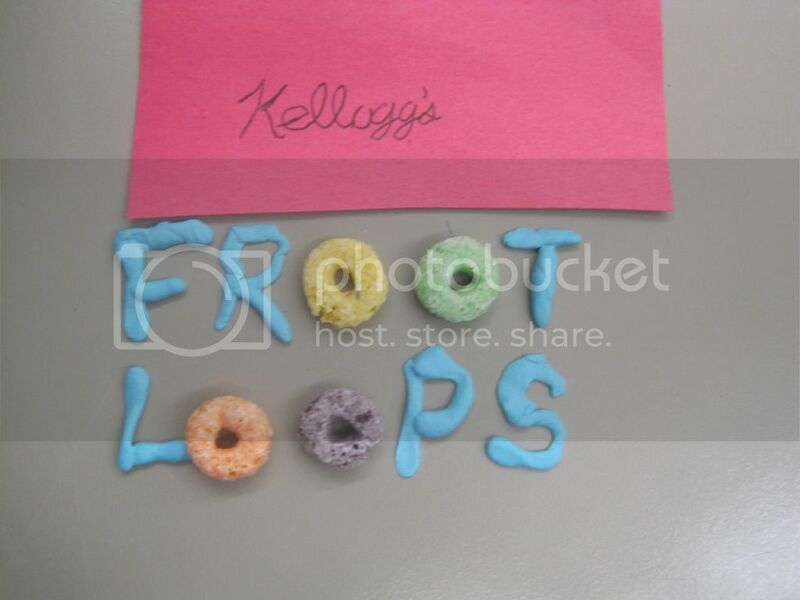 Then they were to divide the 6 fruit loops equally between 3 of their squares. So, how many fruit loops are on each square? I also created a worksheet with some word problems and space to solve them using this type of visual method, and so far it's working great! Such a great and fun ideas I now my kids will love doing this. Thanks for sharing.